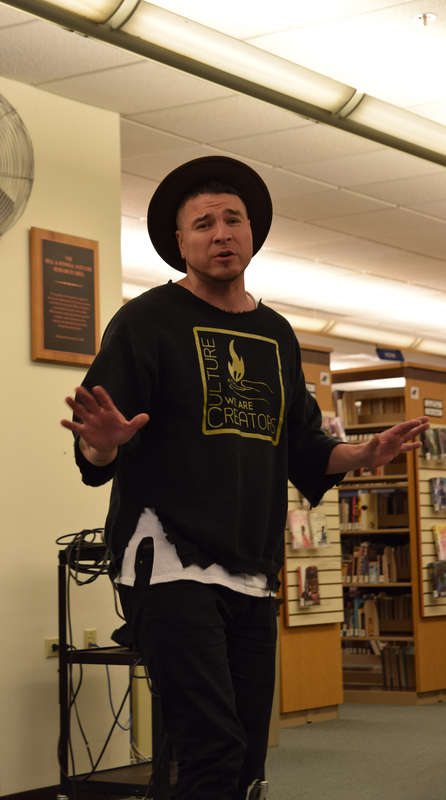 As a poet, artist and organizer, Michael Reyes performs internationally and facilitates educational performances and workshops by merging creative expression and critical thought. 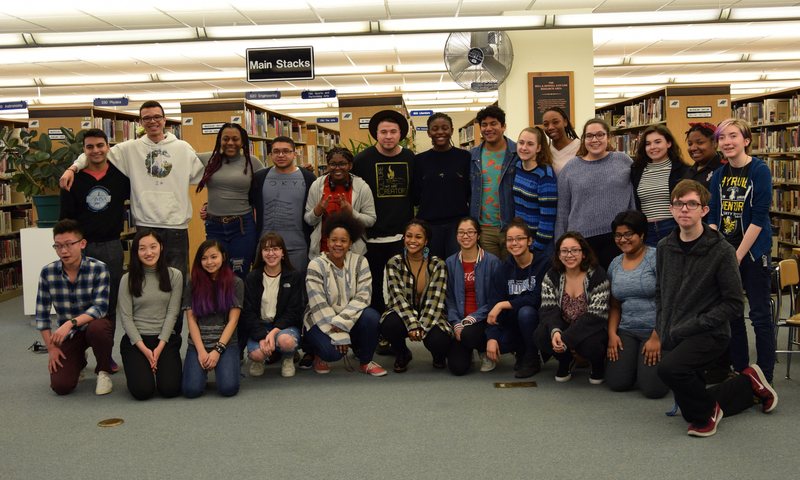 His mission is to provide a participatory educational environment through poetry and hip-hop to address issues of social justice and cultural identity. Reyes is known for his ability to combine history, current events and performance into a fusion of education and entertainment. He stopped by the IRC to connect with IMSA students this past Friday, April 6th. Reyes has performed and keynoted at over 1,500 institutions including: The Million Man March in Washington D.C., The United States Hispanic Leadership Institute, National Council of La Raza Conference, National Conference on Race and Ethnicity, The White Privilege Conference and The Latino Ivy League Conference. Currently Reyes is in the production of “Culture Creators” a progressive and radical media company encompassing a vlog, music label, youth artist talent management, film production, and fashion segments that will be produced in both Detroit and Chicago. The Vlog highlights over 100 culture creators ranging from community organizers to musical artists. If you missed the event or would like to hear more about Michael’s cause, check out his website here. This entry was posted in Displays on April 10, 2018 by bbixby.